Purple Lounge are giving their players a chance to win tickets to this highly acclaimed London poker play by Patrick Marber. The play features Hendon Mobster Ross Boatman and David Lloyd Pack from Only Fools and Horses. It's not often that poker and the theatre mix. 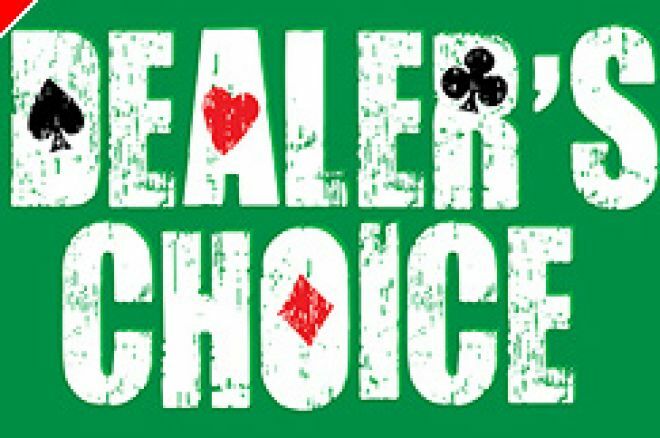 However, Purple Lounge Poker are proud to support the first major London revival of Patrick Marber's debut play Dealer's Choice. The play is about a regular poker game, but as the stakes are raised in this night of psychological violence and bluff, six men stay up late and try to bust each other out! Purple Lounge are offering players the chance to win two free tickets to this play at The Menier Chocolate Factory in London on October 7th. The performance will be followed by a champagne reception and buffet dinner, where guests will be able to meet and mingle with the cast and hang out in the exclusive Purple Lounge. After dinner, the serious business of poker begins as guests sit down to pit their wits against the cast and special guests. Luxury lifestyle prizes will be on offer to players. Tickets for this exciting evening are retailing at £250 but Purple Lounge Poker players could win their ticket for free. To have a chance of winning, you must rake at least £150 ($300) between August 14th and September 25th, in real money, at Purple Lounge tables. All qualifiers will be eligible to register for the Dealer's Choice free roll on October 1st at 19:00 BST. This promises to be an evening you will never forget.